A self-described Elder Goth, Trystan has been haunting the internet since the early 1990s. 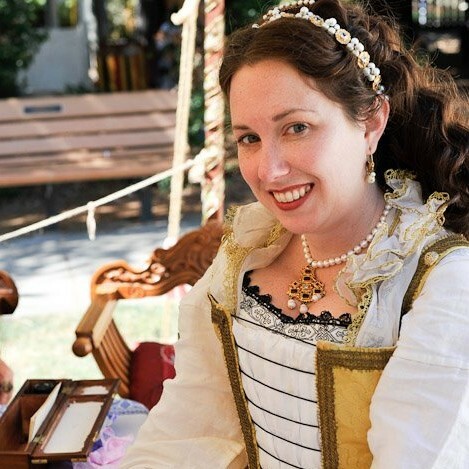 Always passionate about costume, from every day office wear to outrageous twisted historical creations, she has maintained some of the earliest online costuming-focused websites on the web. When she’s not dressing up in costumes, she can be found traveling the world with her sweetie and, occasionally, Kendra and Sarah. 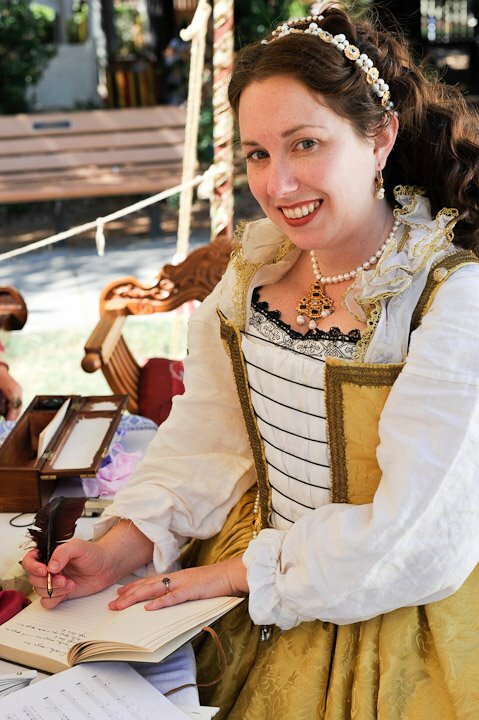 Her costuming & travel adventures are chronicled on her website, Trystan Craft. She also maintains a popular fashion blog, Corp Goth, dedicated to her “office drag”. Sarah discovered her dual passion for history and costume right around the age of twelve. Dragged kicking and screaming to her first Renaissance Faire at Black Point, she was convinced she was going to hate it, but to her surprise, she fell head over heels in love with the world of historical costume. Her academic background is in clothing and textile design and art history. When she’s not playing dress-up… No. Sarah pretty much is always playing dress-up. 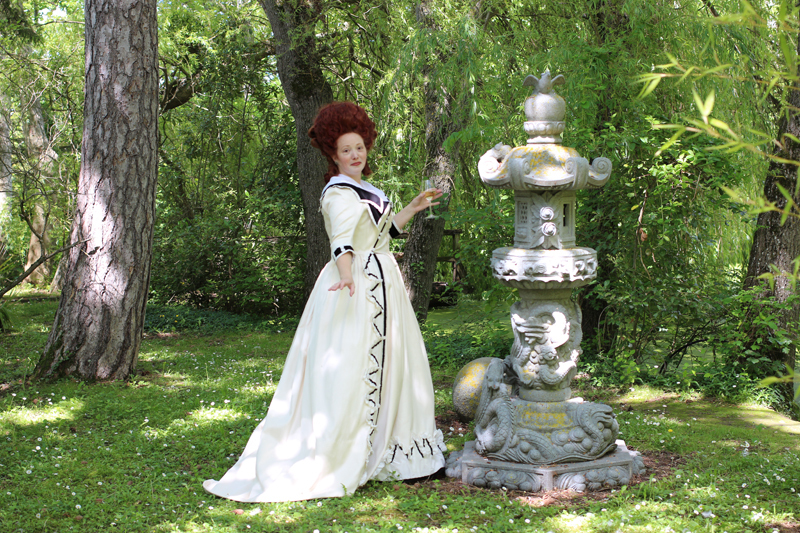 Kendra has been a fixture in the online costuming world since the late 1990s. 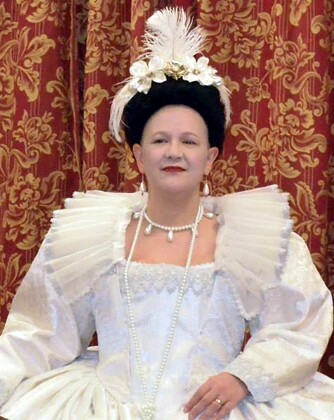 Her website, Démodé Couture, is one of the most well-known online resources for historical costumers. In the summer of 2014, she published a book on 18th century wig and hair styling. Kendra is a librarian at a university, specializing in history and fashion. She’s also an academic, with several articles on fashion history published in research journals.